the fruit flesh and the little hole at the bottom is convenient for drying, transforming and brewing. Combining the refreshing fragrance of Xinhui citrus fruit note and aged flavor of palace ripened pu-erh tea. giving a very cool aftertaste and comfortable throat finish. A perfect combination of mandarin orange and palace ripened Pu-erh tea, it is a distinctive Pu-erh tea that tastes smooth and soft with an intoxicating citrus fragrance undertone. When making mandarin orange pu-erh tea, the tea makers choose leaves of different grades based on how they match with the ripeness of the peels. The green mandarin orange is an unripe fruit with a heavy and sour fragrance, so it should be blended with mellow and aged pu-erh teas to balance the taste. In contrast, ripened mandarin oranges are very sweet, so they should rather be paired with palace-grade pu-erh tea, with tender buds and leaves and a softer taste. Aged pu-erh is a better base for this kind of mandarin orange tea. Teavivre’s Green Mandrain Orange Ripened Pu-erh Tea is made with oranges picked in July 2017 and palace-ripened 2015 ripened pu-erh tea, and each sample is individually wrapped in tissue paper for easy transport and storage. When opened, an appealing citrus flavor will greet your nose and refresh your mind; the entire orange is intended to be infused with the tea, with the texture and taste of the leaves soaking out through the peel to give a smooth, soft taste with a touch of sweetness and a distinct fruit flavor. 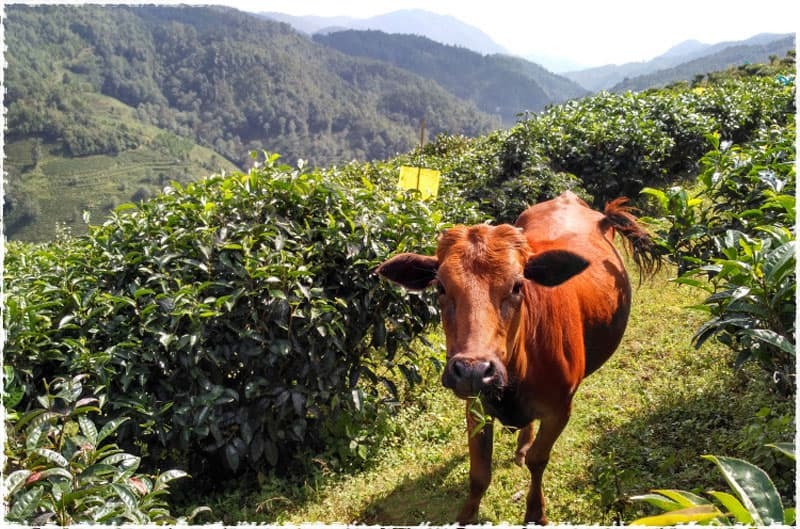 Most tea beginners do not like the taste or aroma of ripened pu-erh teas, but this particular type often catches their interest - if you are one of these beginners, then this deserves a try. You may see a layer of ‘white frost’ forming on the outer surface of the orange peel. This does not mean that the dried orange is starting to mold: in fact, it is actually a kind of crystallization that occurs during the baking process, where the citrus oil of the peel will be released and then crystallized into the sugary substance. According to some research, this frost is not only harmless but also beneficial to the human body. Prior to brewing, you should check to see if the peel has any cracks or holes. If it does, you can brew it right out; if not, it is better to use a tea needle to poke a few holes in the peel. When you pour the water to brew the tea, try to pour the water directly into the opened hole at the top of the orange, to ensure proper steeping. Once the taste fades, you can then remove the tea from the orange and brew it that way. The people who enjoy our Dragon Ball teas may be familiar with the farmer of this type: Mr. Yang, who has more than 30 years of tea-making experience and is good friends with us. He has always been interested in making perfect dragon ball teas and has successfully crafted Yunnan Rose Dragon Ball Black Tea, Moonlight Dragon Ball White Tea, and Ancient Tree Dragon Ball Raw Pu-erh Tea. 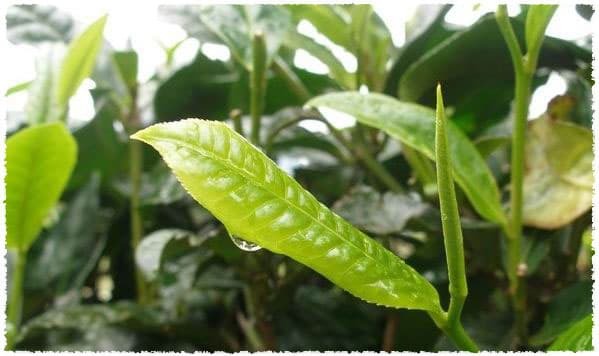 As this type of citrus pu-erh tea has experienced a burst of popularity, Mr. Yang began to focus on the green mandarin orange for its high value, good taste, and positive health benefits. 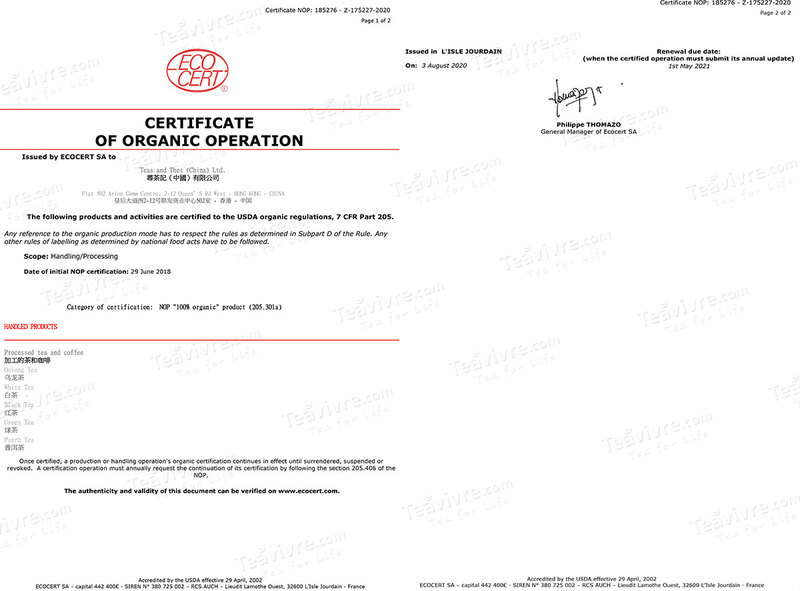 In order to find high-quality oranges, he went on a field trip to Xinhui, Guangzhou province to see the fruit gardens, and there signed a long-term supply contract with a respectable fruit garden. Because of its two high quality materials, the orange and then the tea leaves themselves, this tea deserves to be enjoyed. These trees grow at high altitudes covered by a large area of ancient forests, and the natural ecosystems have been well-protected and preserved for optimal cultivation. According to the 2007 satellite position survey results, the old tree resources, gardens, and populations cover more than 100mu in Pu’er City. 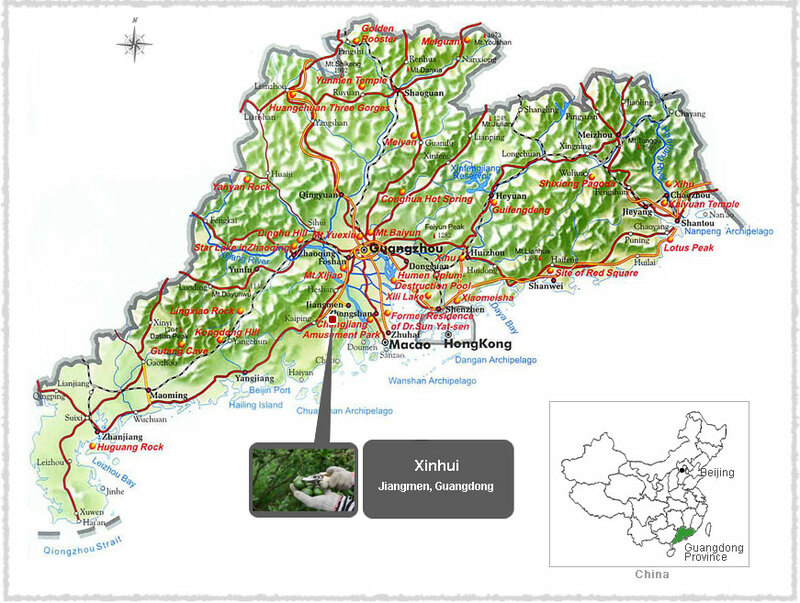 Meanwhile, Xinhui, Guangzhou has a reputation as “the hometown of Chenpi”, or tangerine, and Teavivre’s mandarin orange comes from the Tianma district here. 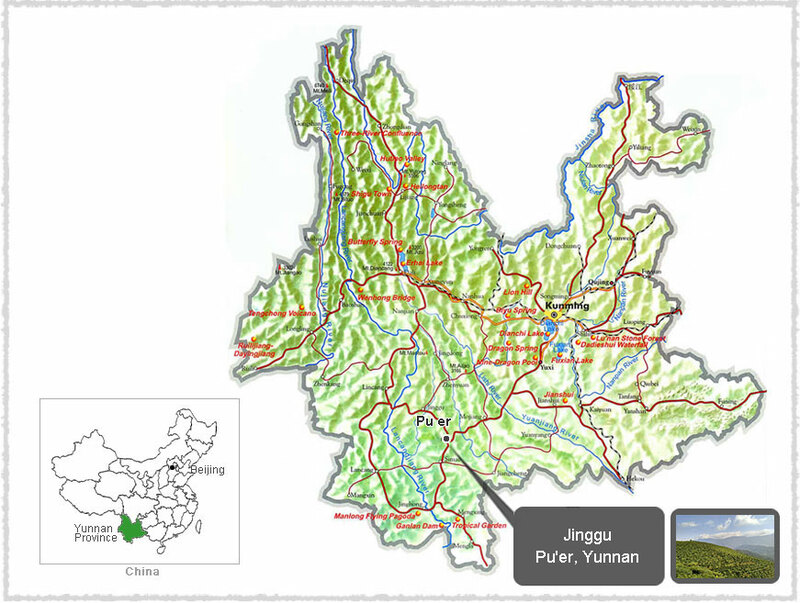 This district is the core region for orange peels used in tea-making and is in an alluvial plain of the Pearl River Delta, meaning its land is fertile and rich with organic matter. 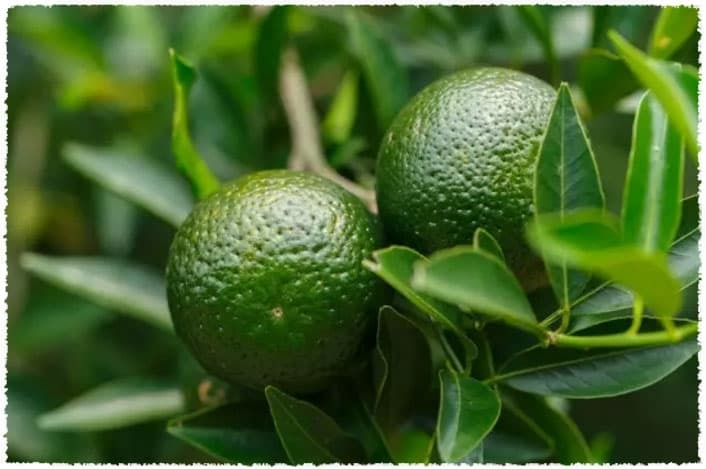 The irrigation water here is a special mix of seawater and fresh water, and with the natural mountain barrier on three sides, the environment here further improves the quality of the Xinhui mandarin orange. 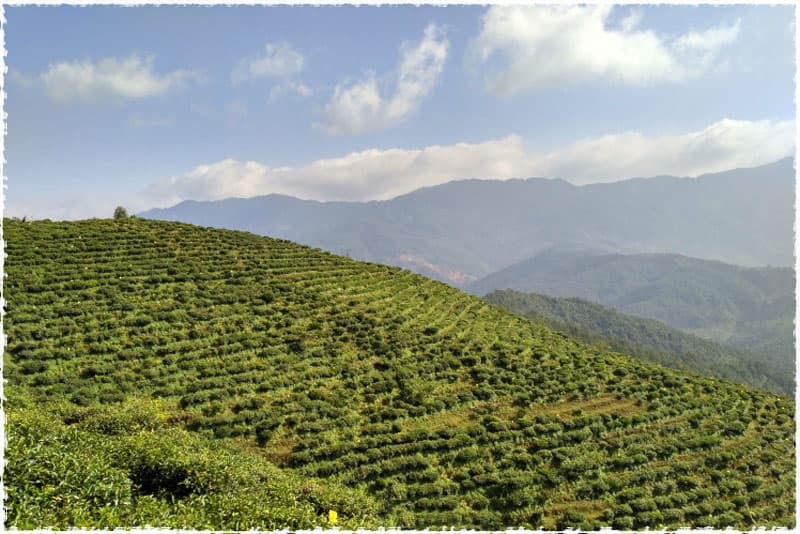 The Yunnan large-leaf tree is a famous Chinese tea variety and includes the Mengku large-leaf tree, Fengqing large-leaf tree, and Menghai large-leaf tree species, and is suitable for making black and pu-erh teas. The Xinhui mandarin orange is an excellent variety selected by fruit growers during its long planting history, with an edible peel and pulp both with medicinal uses. Because of its unique good quality, in the Ming and Qing Dynasties it was often chosen as a royal “tribute”. The green version of this orange used in this tea is the unripe fruit. Citrus peel brewed with tea was first mentioned early in The Classic Of Tea written by tea sage Luyu, but has become much more popular in recent years. It is said that the citrus tea was invented by a Jingshi of the Daoguang region, called Luo Tianchi. Luo Tianchi liked to drink pu-erh tea, and one autumn day, he had a headache while reading and drinking tea at home. His wife prepared citrus water for his headache, but he mistook it for boiled water and poured it into his tea cup. He realized his mistake afterwards, but instead of wasting it, decided to take a sip - and as soon as the fruit flavor of the citrus and the mellow taste of the pu-erh surrounded him, he felt comfortable. After several cups his throat felt better and his head had cleared, and from that day on, he loved to drink his pu-erh tea with citrus peel. Many of his relatives learned that he loved citrus peel, so they specially sent him many Xinhui mandarin oranges: he thought that both the pu-erh tea and the peel of the Xinhui orange improve with age, so why not combine the two? And thus the citrus pu-erh tea was invented.